Craig Hunter asks whether neuromarketing is the tip of a dangerous iceberg or dawn of a new era in communications. Bill Bernbach once said that advertising is an art, not a science – a notion that has validated creative departments and agency approaches to advertising the world over. When attending the Neuromarketing Science and Business Association (NMSBA): 2016 Neuromarketing World Forum in Dubai in April, it became increasingly clear that ‘science’ may well have proven that ‘art’ is more effective. Neuromarketing, according to Ale Smidts – a respected leader in the field based at the Rotterdam School of Management, Erasmus University, Netherlands – is the “measure of implicit processes (emotional needs and wants) in a reliable way using neuroscience methods.” The Key methods are EEG, fMRI and biometric measures. EEG measures the levels of electrical brain activity (think water-polo skull cap with wires). fMRI shows us where it is happening in the brain (think scary scanner you lie down in and are inserted into a hollow tube) and biometrics, which include a host of measures – critically eye tracking – so we can see where your attention is focused and other measures of heart rate and reaction time. Now we know what it is and how it is done – what does it tell us about the way we think? Steve Genco, prominent author (Neuromarketing for Dummies), speaker and advisor at Intuitive Consumer Insights based in San Francisco, neatly summarises the fundamental theory utilising Daniel Kahneman’s popularised theory of dual processes in the human brain: ‘system one’ and ‘system two’. The key point, is the very believable characterisation of the human brain into automatic ‘first responder’ (system one) and a reluctant ‘lazy controller’ (system two). Generally, system one is in charge (speaker and prominent author Roger Dooley made the case that 95% of the brain’s function was non-conscious). 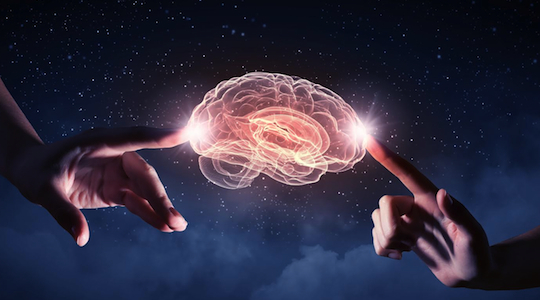 Neuromarketing, suggests the way we think in at least the first instance and arguably the majority of the time – is instinctive, intuitive and emotionally driven. Therefore, communications that rely on ‘art’ (system one) will be more readily received than those that rely on ‘science’ (system two). In appealing to the non-conscious, automatic, emotion-driven part of the brain; we as marketers, will be more successful than presenting people with a rational message that requires the reluctant reaction of the cognitive part of our brain. In the same way, neuromarketing can be interpreted to confirm intuitive beliefs about the way communications work, based on how the brain works and how we think. It casts a damning light on how we go about modern marketing and particularly developing communications. Going on to contest that we ‘violate’ all of these rules in ‘persuasive marketing’, we load our messages with factual and rational information, force our reluctant or ‘lazy controller’ conscious minds into action and demand that we stop and think about the message. I grew up as a planner, in the ‘planning era’, working in international agencies, and I can’t help but agree with Steve Genco. ‘Modern’ strategic communications development, is still based from an era when we could critically look at a product or service and extract the most positive elements (and ignore the negative). We would then consider the consumer target group and determine their needs and motivations. We would then align the best aspect of the product or service against these ‘insights’ and develop a motivating ‘consumer proposition’. A proposition by its nature is more rational, a ‘reason-why’ you should buy. Evidently, this model of strategic development is outdated and needs to improved upon. Everything we are learning about how the brain works would contest the need to develop a proposition and demand attention. This argument is not new and is examined masterfully in the Robert Heath and Paul Feldwick 2007 paper in the International Journal of market Research: ‘50 years using the wrong model of advertising’. I should also point out that emotionally based advertising is of course used to full effect by many advertisers and their agencies – but only in a handful of cases, and even then often despite the strategic process not because of it. Further when it is used, as noted by Heath in ‘Emotional Persuasion in Advertising’ in 2007, it is as a crutch or vehicle for the rational message, rather than being the message itself. So what is the right strategic model? We have a long way to go to redress the ‘rational bias’ born from outdated strategic development processes, reflected in our communications. We need to begin to understand and learn from the wealth of available study in this field, and begin to apply our experience and expertise in the development of a new strategic approaches. The implications are quite staggering and reach into every facet of marketing and communications. Theories presented here are just the very tip of a very dangerous iceberg, if ignored. But, if considered, debated and used – we could, without exaggeration, be on the verge of a new era in communications. Craig Hunter is the founder of Blacksheep Strategic Group, a research communication and brand strategy consultancy. Purchase a subscription to Marketing for the latest opinion and analysis on topics shaping the marketing disciplines.